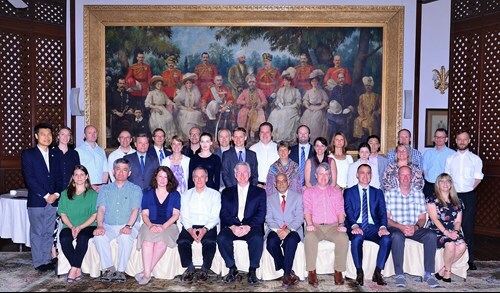 June 27, 2017 – Secure World Foundation (SWF) Director of Program Planning Dr. Brian Weeden participated in the second workshop to develop a Manual on International Law Applicable to Military Use of Outer Space (MILAMOS), which was held in New Delhi, India, June 23-25, 2017. The workshop brought together more than 50 international legal experts, technical experts, and researchers to continue drafting rules on international law and military uses of space. The MILAMOS project was co-founded by McGill University in Canada and the University of Adelaide in Australia. Dr. Weeden participated as a technical expert advising the group focused on international law and use of force. The next MILAMOS meeting will be in Colorado Springs, Colorado, in October 2017.